Are you a budding author? Do you need help with publishing your book, or publishing your memoirs? We can provide all the editorial services you need to publish a book or booklet successfully. Memoirs, biographies and family history books and booklets. These are an ideal way to record family history and local reminiscences to be passed on to future generations. 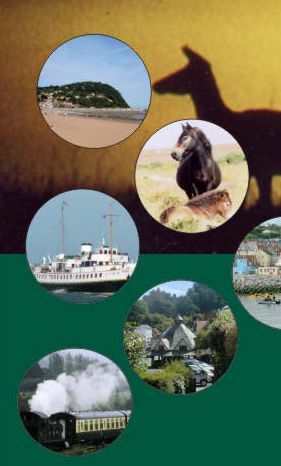 Walks and guides.These sell well locally and if you have detailed information you can pass it on. Instructional booklets, books and guides. The "how to" guides is always popular. Local information and guides. We have specialised in publishing local guides and tourist information. Full length novels and books. For the really serious writer we can help you get your book into print. Private books such as manuscripts for University, family documents and the like. Our aim is to help you with your publishing needs at affordable prices. Whatever it is that you want to get into print, come to us now. We can help you get your book into print or produce it for electonic distribution. We can also prepare your manuscript so that it can be submitted to a publisher. We do not publish your book, you are the publisher, but we can do all the work needed to get it into print. So called vanity publishers take a large lump sum of money and then publish your book, which is then sold in very limited quantities. They do not spend a great deal of money on promoting the book, and largely attract authors by insincere assurances of how good the book is. They make their money from their charges, not from the sale of books. We do not promote your book, that is for you to do, although we can advise. What we do is to make the actual publishing part much easier. So what do you do to make my book successful? Unfortunately a lot of books are never going to make it big time. Sadly that manusdript which you have worked on for the last year may not be the next best seller. And that is not necessarily because it is bad, or not worth reading. The problem is that thousands of books are written every year, and many more are still in print from the last hundred years or so. At the same time a limited number, and perhaps decreasing number, of people buy books. These days there are many demands on leisure time which might have once been devoted to reading, tv, computers, electronic publications and a host of wider leisure activities. This means that however good your book is, it will have to compete against all the other publications, and the result is that it may not sell, or you may sell fewer copies than you would have done in the past. This might nor seem to matter a great deal, because all you want to do is to sell some books, but it means that a publisher may not be able to make enough profit our of selling your book to recover his investment. So while you may be content with selling a few hundred books, the publisher has to sell several thousand books to make a reasonable profit. If you publish your own book you may wonder whether you will make a profit and whether you will sell many copies. The answer lies to some extent with your own efforts at promotion and selling. You might have a ready made outlet for your book, for example your book about steam trains could be sold at the preserved station where you work as a volunteer. You might be able to sell lots of copies to your huge circle of friends. But then you might have no such outlets, in which case you will have to promote your own book. You can do book signings, put it on the Internet, write reviews and so on. There are probably hundreds of ways to promote your book, and this article is not the place to go into all these, perhaps I should write a book about it... But I am sure you will get the picture. How many books do I need to sell to get my money back? That is a difficult question to answer, because it depends upon the format of the book, the number of pages, the amount of editing, and so on. But you would almost certainly have to sell a couple of hundred as a minimum. So ask yourself: can I find that many people to whom I can sell my book? 200 is not a lot, in a way, but it can be a totally unreachable goal for some writers. There are other reasons for publishing a book that are not necessarily to do with money. You may want something to pass on to family and friends. You might just want a few copies to give away, perhaps to a local school or library. You might want to produce a book to test the market, to see if you can generate interest and perhaps attract the attention of an established publisher or even film or tv. We will do as much or as little as you want, and we will try to be honest and open with you, so that you can make the best publishing choices. So to start the ball rolling give us a call on 01643 822035 or email.